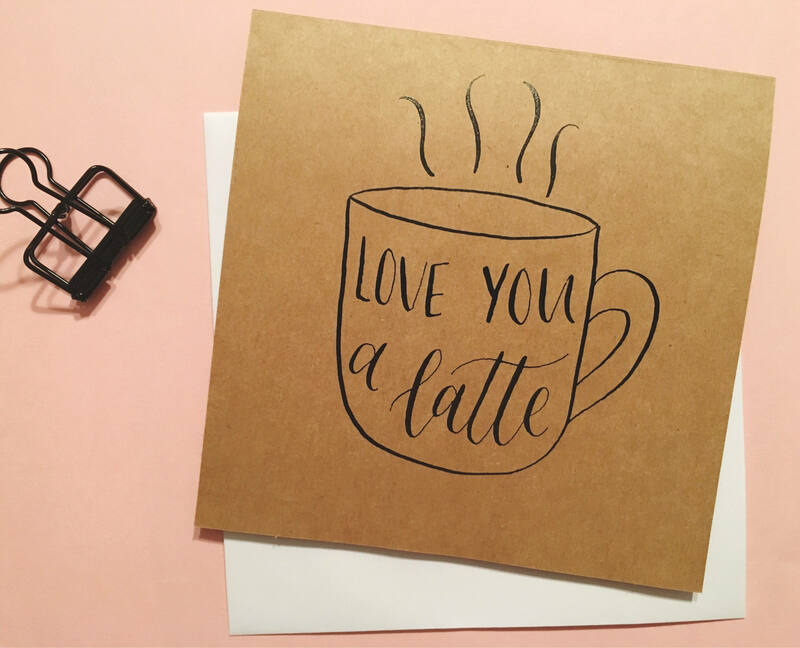 This card is great for anniversaries, Weddings, Valentine's day or just because - and is sure to make the recipient smile. Card is blank inside. This unique handmade card (no prints here) measures 5.5 by 5.5 inches. It's made upon ordering with black calligraphy ink on kraft cardstock. The card comes with a white envelope and will be delivered in a plastic protective wrapper.